Workers’ Compensation is one of the most difficult policies to place for many sports organizations due to the perceived injury risk to employees or uninsured subcontractors who may perform in the capacity of participants, coaches, and umpires. These types of duties are clearly more hazardous than the standard clerical and outside sales duties. It’s clear that large sports and recreation associations such as sanctioning bodies are almost always required to carry Workers’ Compensation under state law; however, it is often much less clear to determine if local sports organizations are required to carry the policy or not. The rules for the requirement to carry Work Comp vary from state to state and there are many confusing exceptions for certain classes of workers. However, the consequences for violation of the requirements can be quite severe. Each state has statutory laws that govern Workers’ Compensation benefits that are prescribed for injured workers. Coverage usually extends to employees and possibly uninsured subcontractors who suffer on the job injuries and occupational diseases while in the course of employment. Weekly lost wages based on a formula for a certain number of weeks (ex: 66.6% of average weekly wages for past year for 500 weeks). Employers Liability is a seldom used coverage part that pays for legal defense and for adverse ruling in the event that an injured worker is able to successfully opt out of the statutory benefits under Part One. It is seldom used because most states have strong “exclusive remedy” doctrines that force that vast majority of all injuries under Part One. Higher limits are available for a small additional premium charge. Each state has its own requirements, but typically, many states require organizations to carry Work Comp if they employ three or more employees at any given time. Note that employees may include officers and may include employees of uninsured subcontractors (1099 workers). Many states have exemptions for employees who are paid a small amount below a certain threshold. See our article that analyzes the requirement to carry Workers’ Compensation under South Carolina law for an explanation of a typical state requirement and the many exceptions. 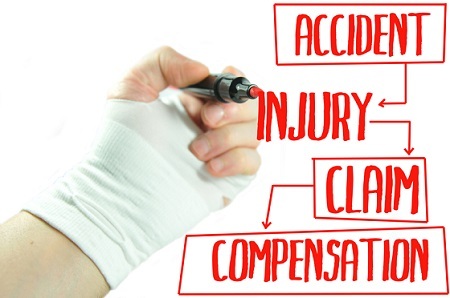 If an organization is required to carry Workers’ Comp and fails to do so, the consequences can be severe in the event of an injury to a worker. Most states will impose fines and after payment is made to the injured worker by the state uninsured employers fund, the state will file a lien against the organization in an amount equal to the benefits paid. The benefits can be astronomical in the event of a serious injury. See our recent blog posts for more detailed information on Workers’ Compensation coverages, the requirement to carry coverage, operations in multiple states, and federal compensation laws. Amounts paid to owners: different rules apply to adjust the actual payrolls to account for minimum and maximum amounts depending on the entity type of the organization (ex: sole proprietorship, partnership, corporation, or LLC). Also, owners can elect to not be covered under the policy. Amounts paid to uninsured subcontractors (1099 workers). Uninsured subs are often used for field maintenance, concessions, janitorial, umpire crews, event set up and take down, etc. A rate based on the classification code is applied per $100 of amounts expected to be paid to each category above. The policy is set up based on estimates and then an audit is performed at the end of the policy year to make adjustments for the correct amounts paid and a final premium is determined. Please complete the Contact Us form and let up know that you are interested in a quote or call us at 800-622-7370.